The manager of the Bud Hut marijuana dispensary was arrested Thursday for allegedly planning the robbery of the dispensary earlier this week. Jeremy D. West, 42, was taken into custody Thursday evening at his home in Troy by Whitman County Sheriff’s Office investigators with the help of the Latah County Sheriff’s Office, according to a news release from Whitman County Sheriff Brett Myers. West, the manager of Bud Hut, located along the Moscow-Pullman Highway, originally reported the robbery to police Monday morning, shortly after the incident occurred, according to the news release. He reported he had been robbed at gunpoint and his car was stolen. Police arrested Kody Schneider on Monday for his alleged connection to the robbery and he is currently being held at the Whitman County Jail on charges of first-degree robbery. West is believed to be Schneider’s friend and allegedly helped plan the crime, according to the news release. 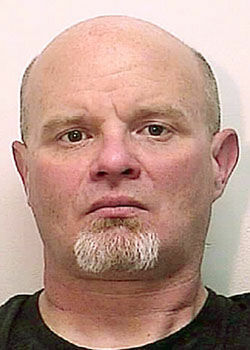 West is being held at the Latah County Jail on a Whitman County warrant for charges of first-degree theft.